ICC has paid tribute to founder of the ICC Institute of World Business Law, Professor Pierre Lalive, who passed away on 8 March at the age of 91. Professor Lalive, who co-founded the international and independent law firm Lalive, based in Geneva, was one of the world’s leading specialists in international disputes and is considered a founding father of modern international arbitration. Professor Lalive was committed to the development of international business law. In 1979 he was responsible for the foundation of the ICC Institute of World Business Law. The Institute’s mission remains faithful to his ideals: it promotes the development of business law and provides training in the law and practice of international business and it serves as a forum for the strengthening of ties between international business practitioners and the legal profession. “Professor Lalive was one of the rare arbitration specialists able to combine a wide practical experience with a rigorous scientific approach, as illustrated in his famous article on truly international public policy, just one of his many pieces of writing,” said Yves Derains, the current president of the Institute. 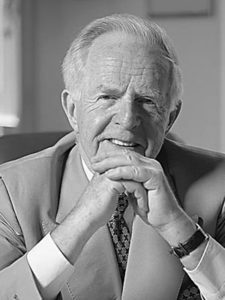 Professor Lalive’s career spanned more than half a century, during which time he acted for several States before the International Court of Justice in The Hague and was one of the seven experts appointed by the Swiss government to draft the 1987 Swiss Code of Private International Law, including the rules on international arbitration. He was president of the UNIDROIT Diplomatic Conference of Governmental Experts on the Protection of Cultural Property and instrumental in the elaboration of the 1995 UNIDROIT Convention on Stolen or Illegally Exported Cultural Objects and held several positions in professional associations in the fields of arbitration, international law and art law. He was the author of more than 200 publications, principally in the fields of private and public international law, international business law, arbitration and art law. He was also the founder (1983), former editor-in-chief (until 2009) and Chair of the Advisory Committee of the ASA Bulletin, one of the leading arbitration reviews. Professor Lalive also held many academic positions. He was awarded the prestigious Balzan Prize (for private international law) in 1990, and was granted the title of Doctor honoris causa by the Universities of Lyon (1976), Paris II (1982), Brussels (1989) and Rome (1996). He graduated from the University of Geneva and studied at the Graduate Institute of International and Development Studies in Geneva and at the International Law Academy in The Hague. He held a PhD from the University of Cambridge, UK, where he became Fellow of King’s College and Arthur Goodhardt Professor of Legal Science. He was Professor at the Graduate Institute of International and Development Studies in Geneva, at the International Academy of Comparative Law in The Hague, at Columbia University, Torino University Law School, and various other Universities.